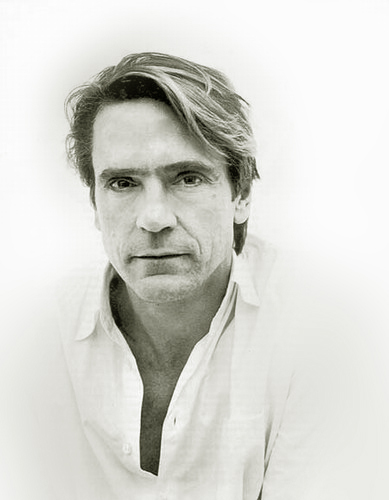 Jeremy John Irons was born on this day in Cowes on the Isle of Wight, England in 1948. He is 64 years old. Irons trained at the Bristol Old Vic Theatre School. There he “gained much experience working in everything from Shakespeare to contemporary dramas.” [IMDB biography] He supported himself with a number of odd jobs and by busking on the streets of Bristol. In 1971 he moved to London and landed the role dual role of John the Baptist/Judas in Godspell at the Round House. 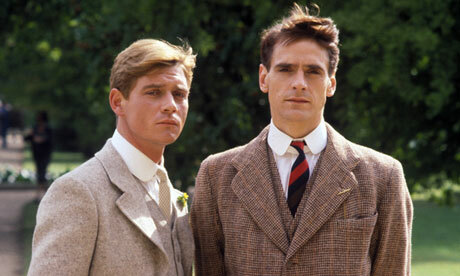 Back on television he played another Charles, Charles Ryder, opposite Anthony Andrew’s Sebastian Flyte in the hugely successful Brideshead Revisited based on the Evelyn Waugh novel. Irons got another BAFTA Nomination (Andrews won), both men were nominated for Emmy Awards. He followed those two high profile projects with an independent film about Polish guest workers in London, Moonlighting. Irons played Father Gabriel in Roland Joffe’s The Mission. 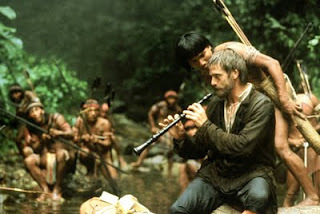 Father Gabriel is a Spanish Missionary who is sent into the jungles of South America. He builds a sanctuary for the Guarani Indians. Robert DeNiro, a reformed slave hunter joins him at the mission. Together they must defend both the mission and the people who live there from the encroaching Portuguese It is all set to Ennio Morricone’s beautiful music. Reversal of Fortune finally brought Irons the Gold. He won both an Academy Award and a Golden Globe Award for his portrayal of Claus von Bulow. Irons took on the role of Rene Gallimard when Cronenberg brought M. Butterfly from stage to screen. You might recognize his growling voice from Disney’s the Lion King. He played Simba’s uncle Scar. When Bruce Willis brought his Die Hard franchise to New York for Die Hard with a Vengeance, Irons played his foil, psychopath Simon Gruber. He pulled on some tights when he took on Aramis in The Man in the Iron Mask; Antonio, to Al Pacino’s Shylock, in Michael Radford’s 2004 movie of Shakepeare’s The Merchant of Venice; suited up as Tiberias, a Knight Templar, in Kingdom of Heaven; and starred in the tv mini-series Elizabeth I, the Virgin Queen, as the Earl of Leicester/Lord Dudley, opposite Helen Mirren’s Bess. 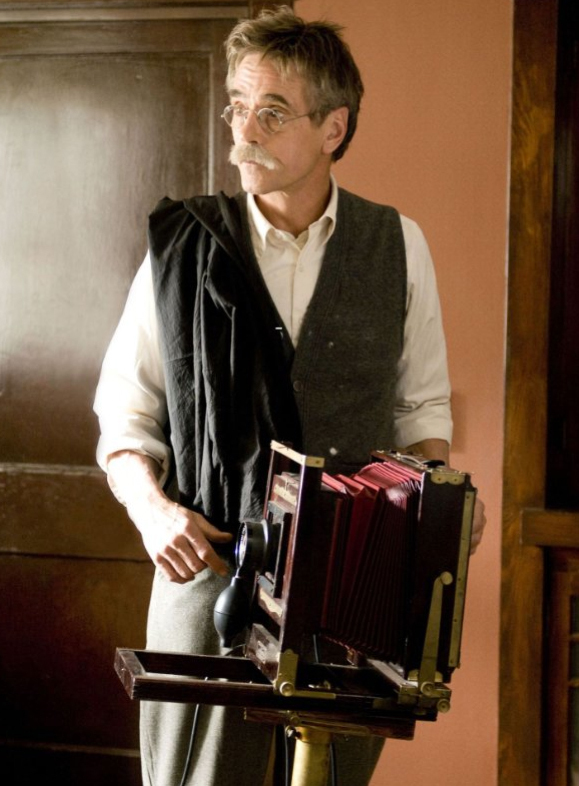 He played photographer Alfred Stieglitz in the made for TV biopic Georgia O’Keefe in 2009. Heck, he’s even voiced the part of Moe’s Bar Rag in the Simpsons! Irons currently can be seen in Showtime’s sweeping TV mini series The Borgias, a crime drama set in 1492 Italy. 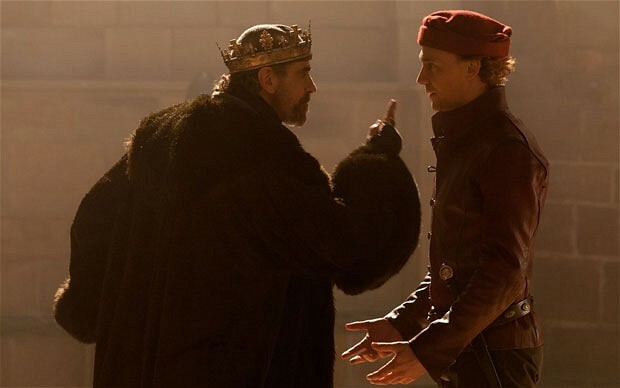 And he plays Henry IV in Shakespeare’s Henry IV, Part 1 & 2 in the BBC’s the Hallow Crown series. This entry was posted on Wednesday, September 19th, 2012 at 9:10 pm	and tagged with bristol old vic theatre, Jeremy Irons, oscars and posted in Elizabeth I, England, Film, Jeremy Irons, postaday, Shakespeare, Theatre, Thought of the Day, Today's Birthday. You can follow any responses to this entry through the RSS 2.0 feed.